The plight of the tailender, particularly in the 1970s and 80s when the world was crawling with fearsome quick bowlers, has always been one that elicits sympathy: the bowlers, bat in hand, facing a ball and a task that they are sorely incapable of conquering. Whilst batsman make the art of batting look easy with their rock solid techniques, quick reactions and fast hands, for tailenders it can seem painfully tough. How do we decide who is a genuine tailender? 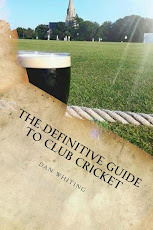 Certainly an average below double figures is a start, as well as a lack of any notable score in Test matches. We should also look at their techniques: one that involves moving to square leg away from the ball suggests a player not too keen on batting and likely to be none too successful. The times when England would assemble a lower order containing Phil Tufnell, Angus Fraser and Devon Malcolm - none of whom averaged more than eight in Tests - are long gone but the batting exploits of these players are arguably more well-known among supporters than those of many front line batsmen. The entertainment of seeing them thrashing around nowhere close to the ball they were trying to hit was a guilty pleasure. 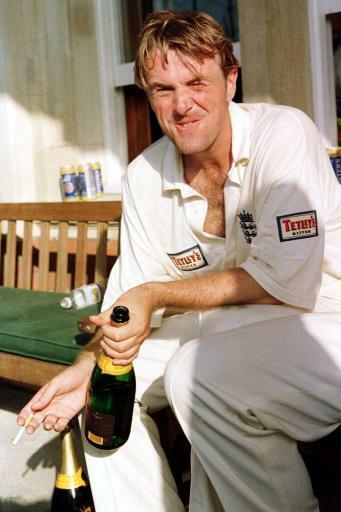 If you have a moment, search for a YouTube video of Tufnell facing Shane Warne in the 1990s. Warne bowls around the wicket to Tufnell, pitching the ball outside leg stump. Tufnell tries to kick away four balls, ends up on his backside once, and kicks a full toss to short leg without any attempt to use a bat. It is wondrous stuff. That is part of the appeal of cricket in essence, a mixture of different players with different skills to offer, combining to make a team, producing entertaining and in some cases farcical moments. Tailenders provide an element of fun whether they are at the crease for a long time, a good time or a short time. The lack of genuine tailenders in Test cricket means a more homogenised game but perhaps a less vibrant one. 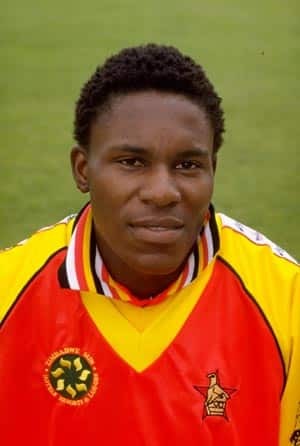 As to who could be considered the most genuine of the genuine tailenders, Tufnell would be high on any list, but from further afield, Zimbabwe’s Pommie Mbangwa and New Zealand’s Chris Martin are statistically the worst tailenders to have played ten Test matches or more. Mbangwa averaged 2.00 from 25 Test innings but it is Martin who has the greater claim to the title. From 71 Test matches, and 104 innings, Martin averaged just 2.36 with a highest score of 12 not out. Martin has 110 more Test wickets than runs. We warm to tailenders because of their often hapless failures, but also because of these occasional successes. Who would forget Monty Panesar, with a Test average of 4.88 from 50 Test matches, batting to save the Cardiff Test in the 2009 Ashes, helping England go on to win that series? Truly memorable because it was truly unexpected. These surprising successes are in decline as the tailender has become an endangered species in Test teams, a trend seen for the last 20 years or so. 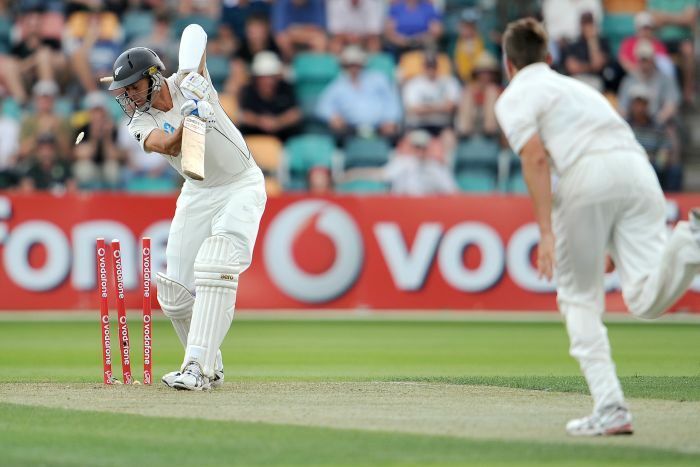 Last year, numbers eight to eleven in Test match batting orders averaged 17.85 each and there were significant contributions from tailenders in the recent Ashes series. The advent of professionalism, more short form cricket and greater rewards for players has meant that where once a tailender such as Tufnell was tolerated, now all lower order players must work at their batting and improve. A quickfire ten or fifteen can be the difference between winning a T20 game or losing it, between a huge paycheck or a much smaller one. For England in the early 2000s, Duncan Fletcher demanded that the England team he coached should deliver lower order runs. He paired tailenders with top order batsman at practise to help them develop. Ashley Giles was a pillar of the Fletcher era who scored important runs at number eight and was often picked ahead of other spinners because of his ability with the bat. As much as lower order runs are important to a team’s success, they are now more than ever also important to a cricketer’s personal career. In these days of T20 riches and lashings of international cricket, players have to be multi-dimensional to get contracts and to get a game. If they want to get an IPL gig, they had better be able to belt the ball out of the ground on a semi-regular basis. Career advancement is helped by knowing which end of the willow to hold. Another reason for the improvement in lower order batsmen is the absence of express pace bowlers, a talent more widespread in the 1970s and 1980s. Facing the West Indies fearsome attack of Michael Holding, Malcom Marshall, Andy Roberts and Joel Garner wasn’t much fun for proper batsmen let alone tailenders so it’s no wonder they did not get in line and cover their stumps. Tailenders feel less able to protect themselves against real pace so there is a fear factor of injury, of being out of their depth. With slower bowlers, that fear subsides and more runs are scored. The lack of express pace, together with better equipment offering greater protection and slower, flatter pitches, has made the task of batting easier throughout the world; the benchmark for a top player now being an average of 50 rather than 40 evidences this trend. As a result batting has got easier for all players, tailenders included. It is unlikely that we will ever see the likes of Martin and Tufnell at the highest level again. Increased professionalism and greater rewards at stake demand that players extract every ounce of ability from themselves. It is a positive thing for the players but the nostalgic would say it has removed a brilliantly fun and entertaining aspect of the game, another quirk of cricket consigned to history. More seriously, I think the key issue is better protection, which means the danger of serious injury is dramatically reduced (as does the lack of Holding, Marshall, Garner, Thomson and others).